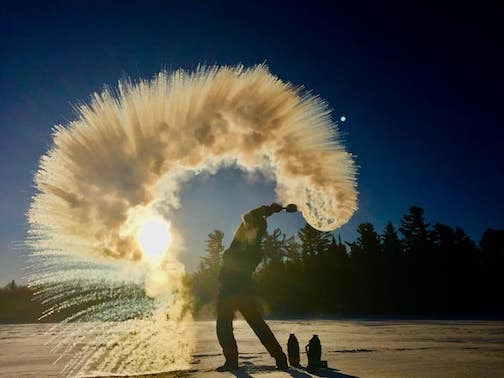 What happens to boiling water at -41F. Photo by Layne Kennedy. Undoubtedly the 20 people who signed up for the 10th annual Winter Plein Air event at YMCA Camp Menogyn this year knew what they were getting into — a week of painting at below zero temps, (hopefully) gorgeous sunlit days to paint Northwoods winter landscapes, camaraderie with fellow artists, hot meals and toasty places to sleep — those things are always on the menu at this popular Winter Plein Air event. But windchills at -50F? Maybe not. 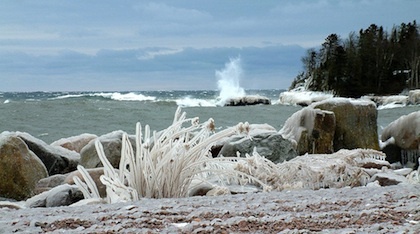 Nevertheless, that’s what the Winter Plein Air artists had to deal with this week as the Polar Vortex plunged into the Midwest, bringing high winds along for the ride. 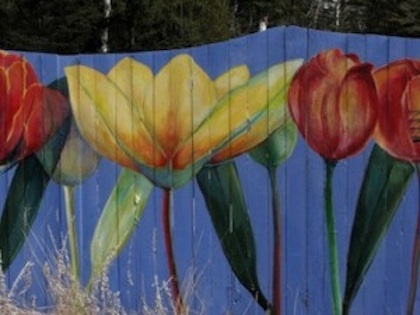 From all reports, the painters have taken it all in stride and ventured out in the cold to paint what they see. 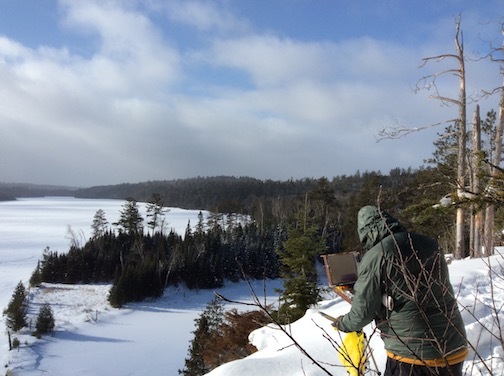 A Winter Plein Air painter hard at work. 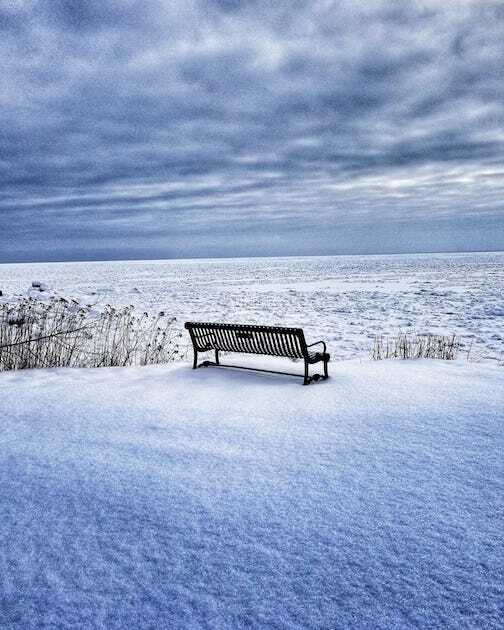 Photo by Allison Eklund. The Outdoor Painters of Minnesota sponsored the event, and the exhibit at Johnson Heritage Post, which opens on Friday and runs through Feb. 24, should be a great show. Not only will the exhibits include work that was completed this week, but selected paintings from the last 10 years as well. In all, more than 100 paintings will be on display. The Johnson Heritage Post is open from 10 a.m. to 4 p.m. Thursday through Saturday and 1-4 p.m. on Sunday. In other braving the elements news, the John Beargrease Sled Dog Marathon was run in this freezing weather, too, with Blake Freking winning the race and his wife, Jennifer, coming in second. It is the first time a husband and wife team have made the top two in this race. The couple raises their dogs in Finland. 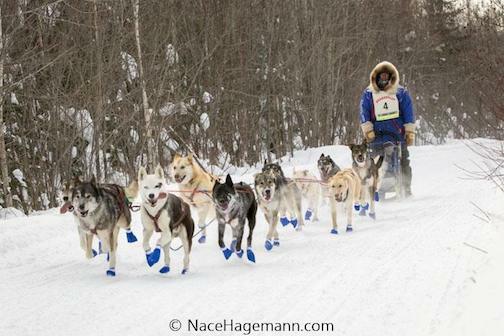 Blake Freking of Manitou Crossing Kennels in Finland won the John Beargrease Sled Dog Marathon. 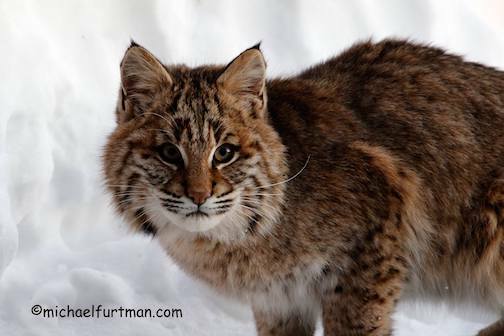 Photo by Nace Hagemann. And, for those who want to get outdoors and experience dogsledding for themselves, Skyport Lodge offers sled dog tours all day every Tuesday and Saturday in the winter. The next one is set for Feb. 2. There are lots of indoor things to do this week, too. 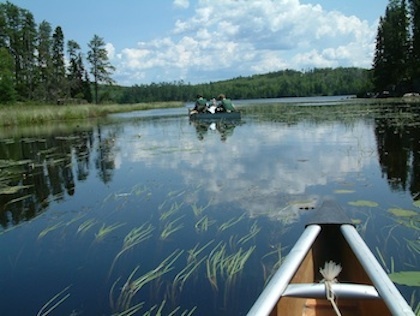 North House Folk School continues its series of movies this Thursday with the screening of “Virginia Minnesota.” The movie was filmed in Grand Marais and on the North Shore and includes local cameos, including World’s Best Doughnuts, North House and the schooner Hjørdis. The film is about two young women, torn apart by a childhood tragedy, unexpectedly reuniting and embarking on an illuminating 24-hour journey. 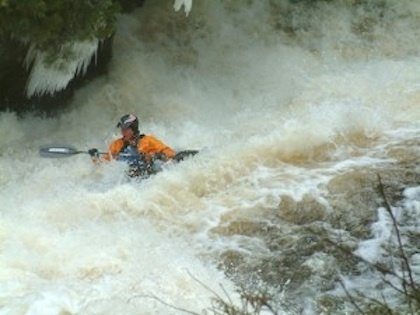 VIRGINIA MINNESOTA – Trailer from Daniel Stine on Vimeo. The film will be screened in the Blue Building at North House at 7 p.m. Free. Bring your own refreshments. 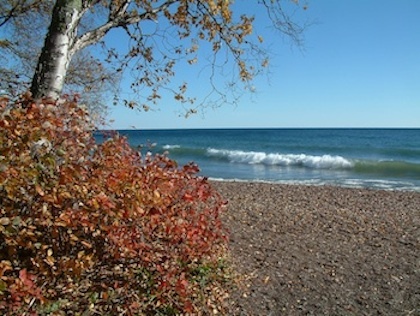 Also on Thursday, WDSE’s Making It Up North will feature interviews with three North Shore residents: Teri Davis-Downing, owner of the Wunderbar Campground and Eatery in Grand Marais, Frank Sander, who is building an artist’s sanctuary in Knife River and Lutsen painter Anna Hess. Check out the trailer below. Making It Up North is broadcast at 8 p.m. The film screens at 6 p.m. on Friday. Free. 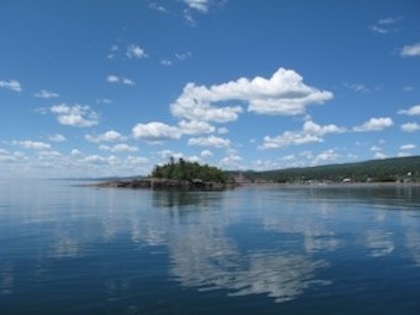 On Saturday, the Grand Marais Art Colony will hold a Community Ink Day from 1-3:30 p.m. in the print studio. This time, it’s Monoprint Saturday, and participants will have a chance to create their own, unique monoprint art piece for personal use or to give as a gift. Drop in to experiment with design and learn more about the art of printmaking. Youth under 8 years old must be accompanied by an adult. Instructor is on-site. The tuition is $5. No registration is required. And Saturday at 6 p.m. is French Film Night at Cook County Higher Education. The French movie, “The Intouchables”‘ will be screened. The film has English subtitles, so those of varying French language skills can easily enjoy the film. Nancy Dumas will be a host during the event to answer any French language questions that come up. She will also be providing a handout that includes some items to consider while watching the film. The award-winning film is about a a rich, Parisian quadriplegic who hires an ex-con as his live-in personal assistant. It is loosely based on a true story. Check out the trailer below. Popcorn and pop will also be provided. The suggested donation is $5. 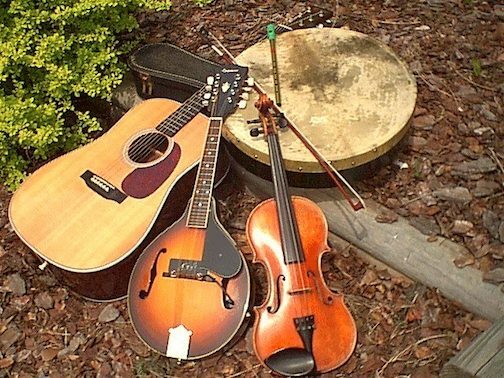 On Monday, the Mountain Thyme Music Studio will host Celtic Sessions at the Wunderbar from 7-9 p.m. All are welcome. Bring an instrument! Fiddles, whistles, flutes, pipes, bodhrans, guitars, mandolins, banjos, accordions, your voice … all are welceome. 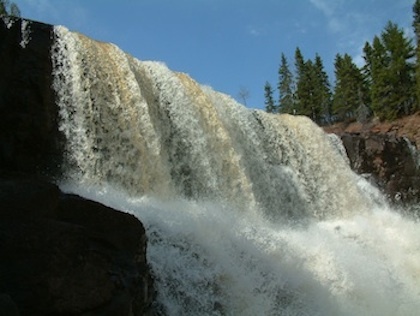 A group of Celtic musicians from Thunder Bay will participate as well. Celtic Sessions with Wild Thyme Music Studio will be at the Wunderbar from 7=9 p.m. on Monday, Feb. 4. The sessions are held the first Monday of every month. All welcome to come play and listen. The first hour will be a ‘slow session’ dedicated to teaching one or two tunes, by ear, for everyone to learn. Tunes are played slowly, broken down into phrases and repeated until everyone has the opportunity to learn the tune. This is a fantastic way to improve playing skills. The second hour will be a regular open session, with participants sharing songs around the circle and playing tunes together for all to enjoy. The group will meet in the lounge area between the pub and the game room. All invited. Questions? Call Michele Miller: 218-475-2656. 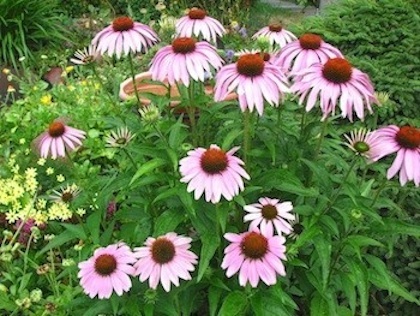 On Tuesday, North House Folk School will hold a community class with April Stone entiteld “Weave a Plaited Black Ash Basket.” Participants will learn how to weave a basket of their own in two sessions, Feb. 5 and Feb. 7. Tuition is free. There’s a $20 materials fee. Call North House at 387-9762 to register. 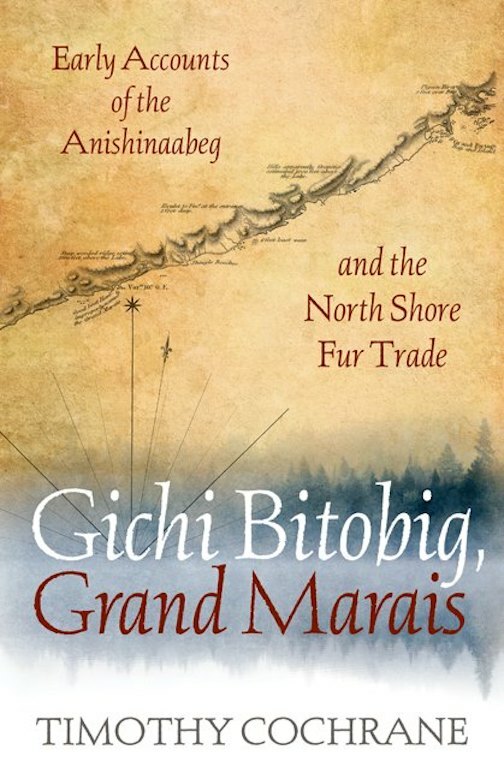 And on Wednesday, Tim Cochrane will speak about the Linklaters: People of the Border Lakes and Isle Royale, at the Grand Marais Public Library at 6 p.m. 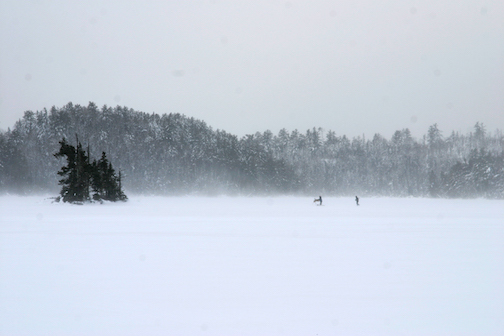 The Johnson Heritage Post‘s “Winter Plein Air | 10 years of Painting in the BWCAW” continues through Feb. 24. All of the artists will have recent paintings as well as some favorites from earlier years. 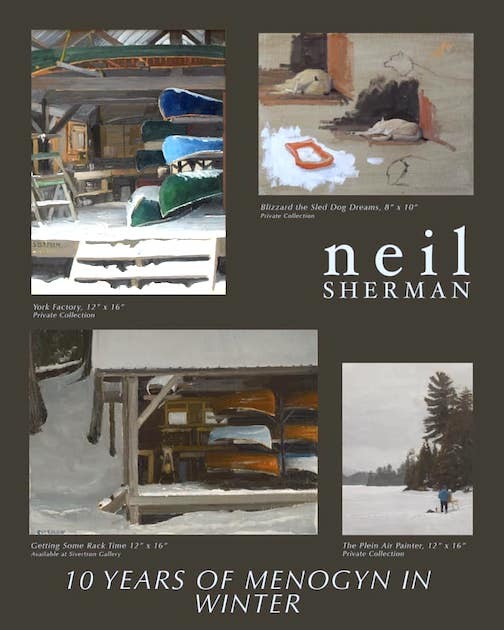 Neil Sherman is one of the painters who will be exhibiting work at the Winter Plein Air exhibit at the Johnson Heritage Post. The Duluth Art Institute has just opened four new exhibits, including the Member Show and the Arrowhead Biennial. The exhibits continue through March. 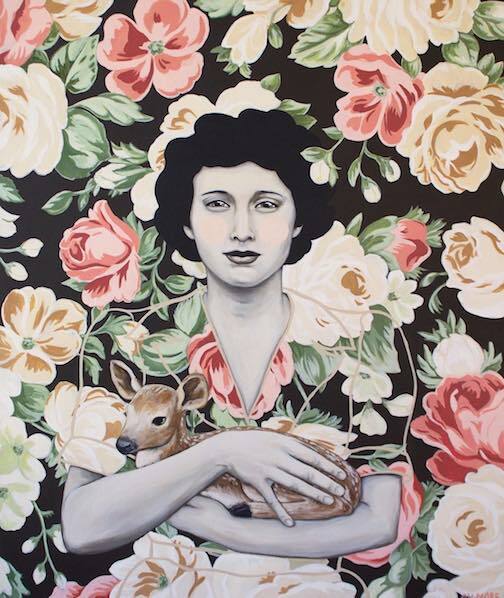 Shawna Gillmore’s painting, “Faith Holding Hope” won the People’s Choice Award at the Duluth Art Institute‘s Member Show, which opened last week. 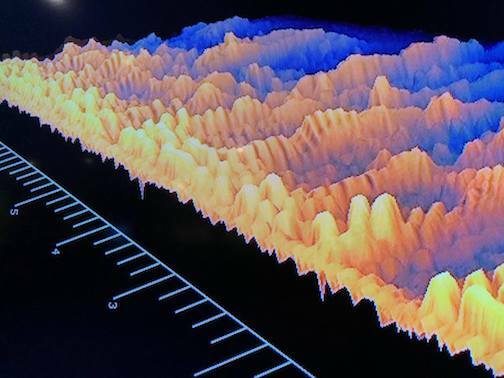 A still shot from Zoe Gordon’s video “You couldn’t identify a sound looking at its sound wave.” The video is being screened at the Thunder Bay Art Gallery. The video is an eight-second conversation excerpt shared through a visualizer. Also in Thunder Bay, the Baggage Building Arts Centre continues its Fibre Art Exhibit through February. 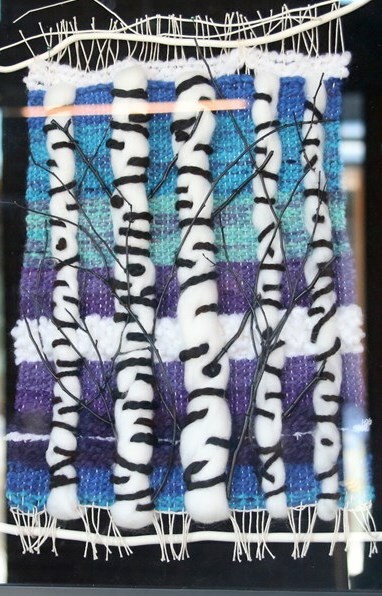 Birch UNder Glass by Leona McEwan is one of the pieces in the Fibre Exhibit at the Baggage Building Arts Centre in Thunder Bay. The exhibit features a wide variety of fiber art by artists in the region. 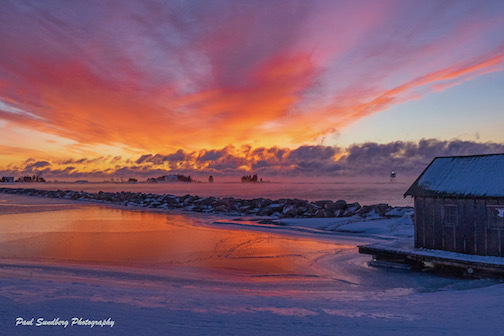 Photographer Craig Blacklock will exhibit his work at the Grand Marais Art Colony in February. 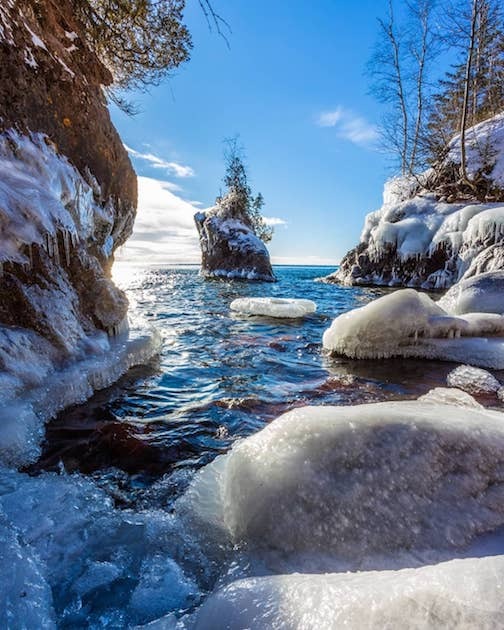 Entitled “Lake Superior and the Enduring Gift,” the exhibit features photographs of Lake Superior as well as the 50th anniversary of the signing of the Wild and Scenic Rivers Act. 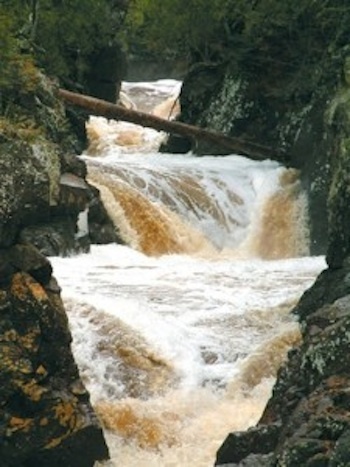 Blacklock’s photographs also features the beauty of the St. Croix and Namekagon rivers. 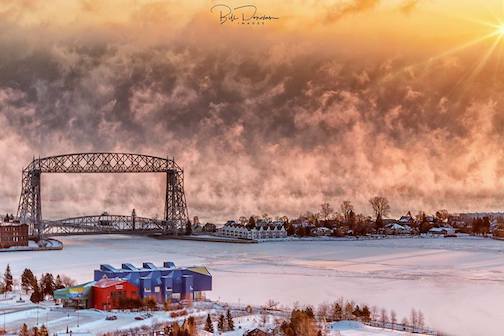 “Superior Winter 551.” Photograph by Craig Blacklock. He will be exhibiting his work at the Art Colony in the Founders Hall at the Art Colony this month as well as giving an Artist Talk at 7 p.m. Feb. 15. 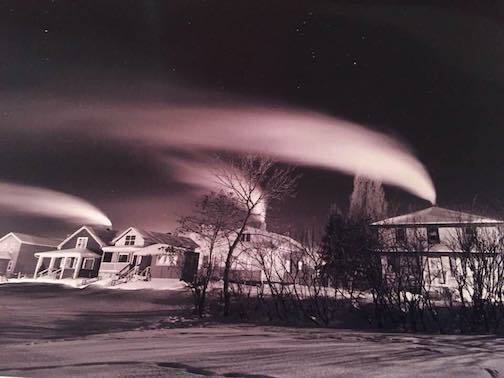 Blacklock will be giving an Artist Talk at the Art Colony at 7 p.m. Feb. 15. 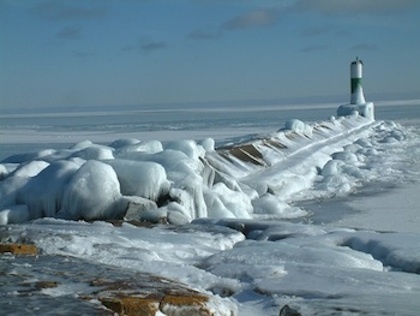 He will also be teaching “Photograhing Superior’s Frozen Landscape” from Feb. 11-15. For more info, call the Art Colony at 387-2737. And the Northern Fibers Retreat, sponsored by North House Folk School, is set for Feb. 13-17 this year with lots of classes, demonstrations, presentations, lunch-and-learn events and more. The featured instructor this year is Karin Flatøy Svarstad of Kalvåg, Norway. Stay tuned for details and/or click here. 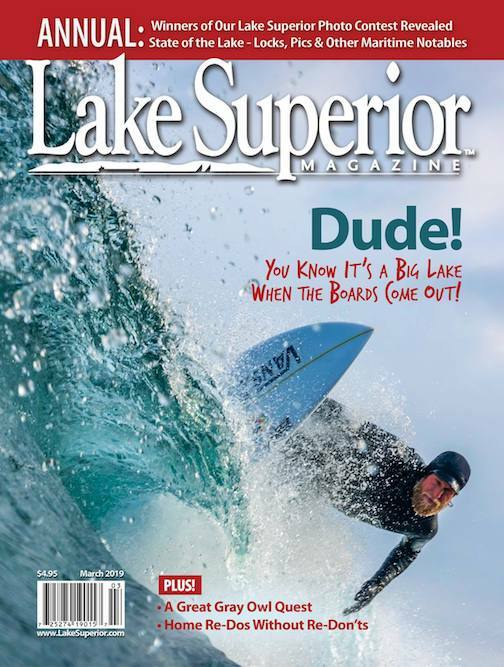 Two Harbors photographer, Christian Dalbec, has the cover photograph in the March issue of Lake Superior Magazine. Cover photo by Christian Dalbec. Tim Cochrane’s book has been nominated for a Minnesota Book Award. The awards will be announced April 6. 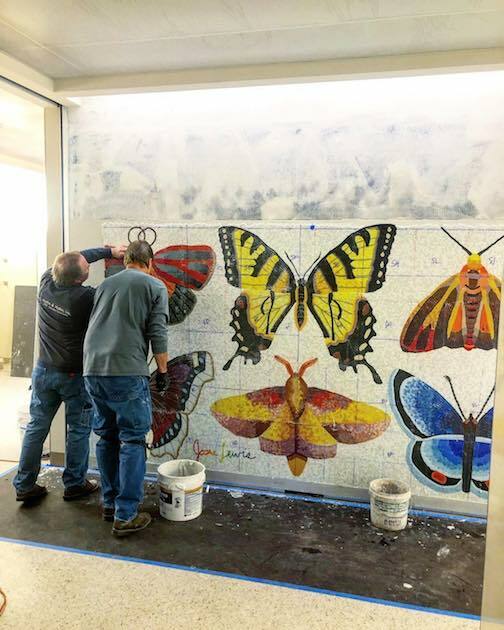 Josie Lewis, who grew up in Hovland, but now resides in Minneapolis, is putting in a tile installation featuring butterflies at the Minneapolis/St. Paul airport, Concourse F at F4. Josie Lewis and a friend work on putting up her tile installation at the Minneapolis/St. Paul airport. It can be seen at Concourse F at F4. And, if you have some extra time, check out this video of a painting restoration. It’s really fun to watch. Also, there’s a call out to artists to participate in the Art of Healing exhibit at the Johnson Heritage Post that opens March 1. Organized by the Violence Prevention Center, it’s an open submission show. If you or someone you love has been affected by domestic or sexual violence and has used art as a means to respond, express or heal, they are invited to submit a piece or pieces to the show. Anonymous submissions, including 2D, 3D or written works accepted. For more info, call 387-1262. Deadline to submit work is Feb. 14. DJ Beavstar, Papa Charlie’s, 9:30 p.m.
Jim McGowan, Voyageur Brewing, 4 p.m.
Joe Paulik, Lutsen resort, 7 p.m.
Charlie Roth, Wunderbar, 7 p.m.
Pete K, Bluefin Grille, 8 p.m. The Dead Pigeons, Gun Flint Tavern, 8:30 p.m.
Timmy Haus, Papa Charlie’s, 9:30 p.m.
Briand Morrison, The Cove at Best Western in Grand Marais, 5 p.m.
Pete K, Cascade Restaurant, 6 p.m.
Plucked Up String Band, Lutsen Resort, 7 p.m.
Brian Morrison, Mogul’s Grile, 10 a.m.
Timmy Haus, Bluefin Grille, 8 p.m.
Celtic Sessions with Wild Thyme Music Studio, Wunderbar, 5-7 p.m.
Gordon Thorne, Poplar River Pub, 6 p.m.
Open Mic Night with Eric Frost, Papa Charlie’s, 7 p.m.
Hunkering down behind a hay bail by Jeffrey Doty. 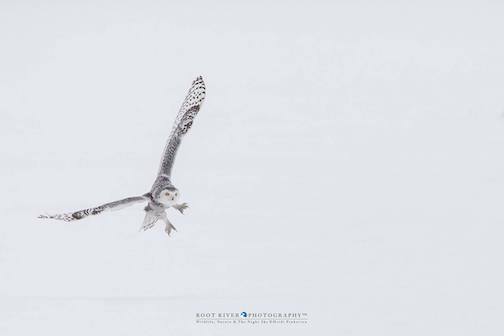 Snowy coming in for a landing by Heidi Pinkerton. 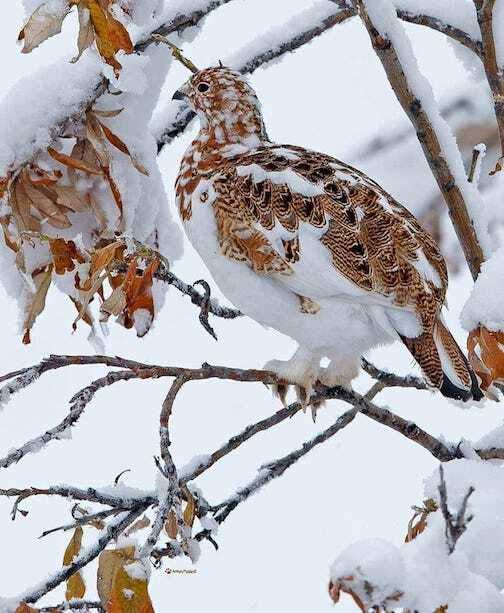 A willow ptarmigan, the Alaska state bird, blends in with the winter landscape. Photo by Dave Dix. 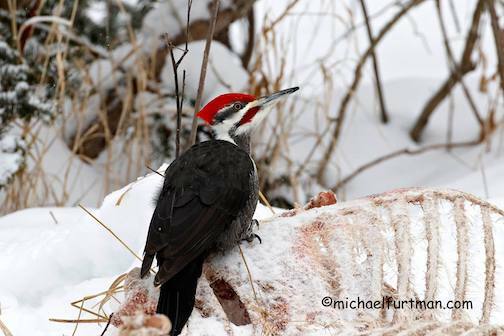 Pileated woodpecker finds food on a deer carcass by Michael Furtman. 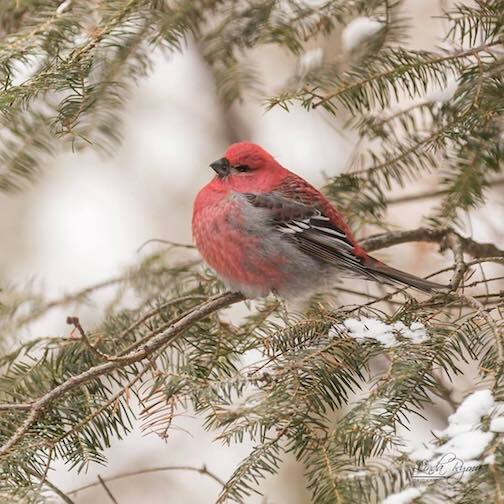 Puffed up fluffy birds are the best by Linda Ryma. 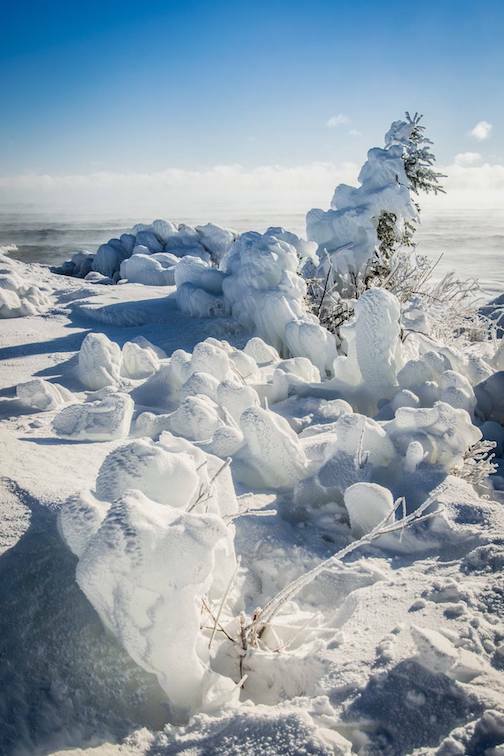 Frozen cove at Tettegouche State Park by Patrick Forslund. 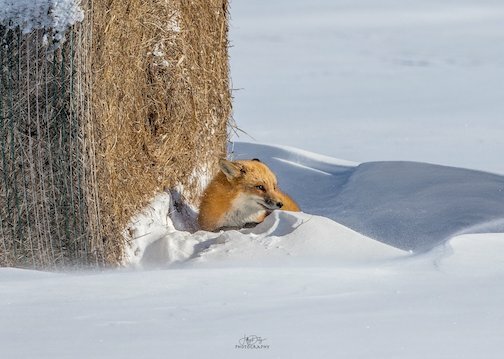 At -30F by Scott Rockvam. 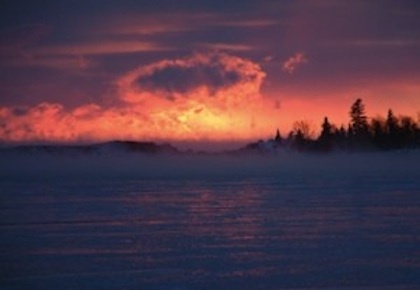 Ely in winter by Marc Farley of WELY-FM. Moody Blues by Jennifer Marie. 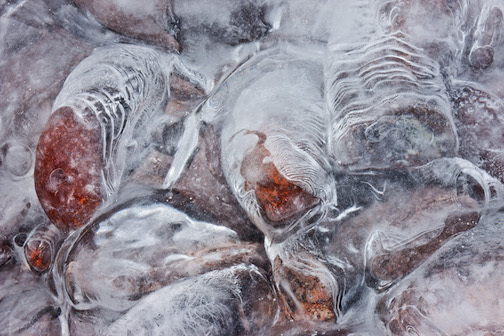 The color of 21 below by Mary Amerman. Something else! by Bill Donovan. 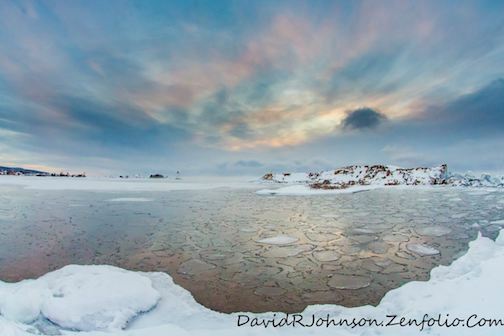 January 26 by David Johnson. 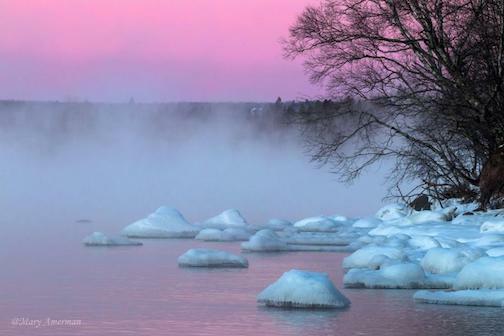 Sea Smoke by Paul Sundberg. 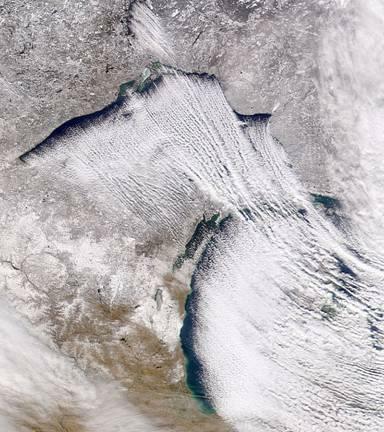 What lake effect snow on Lake Superior looks like from a NOAA satellite. If you’ve enjoyed reading this week’s NorthShore ArtScene, consider making a donation today. And thank you to everyone who has sent in a donation! Such an honor.